Habitat: Roadsides, waste ground, grassland on neutral or calcareous soils. 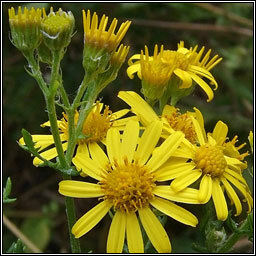 Flowers are paler yellow than those of Common Ragwort and the bracts not dark-tipped. 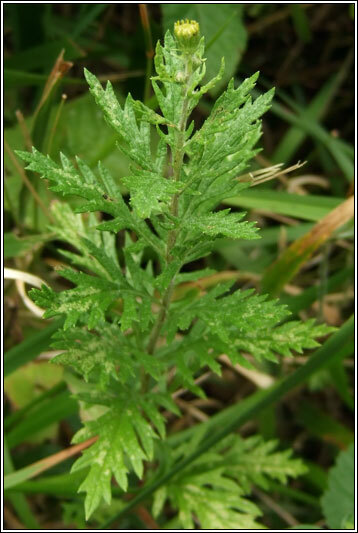 The deeply-pinnate leaves with narrow, coarse-toothed segments have greyish-white cottony hairs, densest beneath leaves. 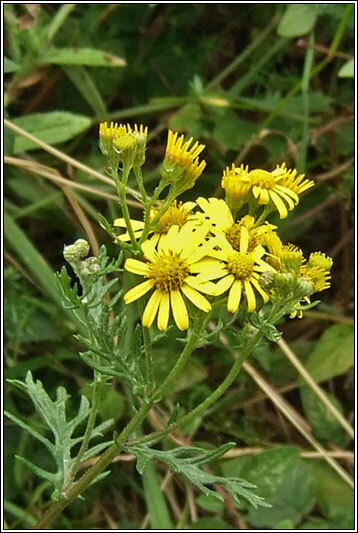 Senecio species contain alkaloids associated with liver damage but risk to livestock only occurs if plant material is included in hay or silage as grazing animals avoid fresh, growing plants.